Huddled in the waving embracement of the Himalayan Range, Bhutan is memorable to people that want to see cultures of the past living along side with the modern world. Bhutan can set an example to the world with pride of it having adopted Gross National Happiness as it central philosophy, but of its thriving cultural heritage, values toward family and its richness in ecology. It is the last strongholds of Tantric Mahayan Buddhism and also the newest of democracies of the world. His Majesty, the fourth king of Bhutan, Jigme Singye Wangchuck, made his people understand that if Bhutan is to prosper, they should embrace the new polity. Hence in March of 2008, the country went to the ballot box to choose their first set of their members of congress under the new political set up. The country has a population of not more than 700,000 people who are dispersed on the mountains and in the valleys that live in relative harmony with the milieu. It is believed that the gigantic mountains shadowing over them are the goddesses and gods. Every species of living being is a sacrosanct and deserves honor as man according to the Bhutanese. 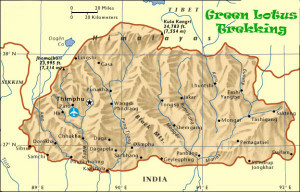 Visitors to the country of Bhutan have the opinion that the country as a whole is an amalgamation of an amazing unique story civilization of value along with modernity. It has a proud history of never being under subjugation of foreign powers. It is a landlocked country between two Asian giants, India on the south and China to the north. 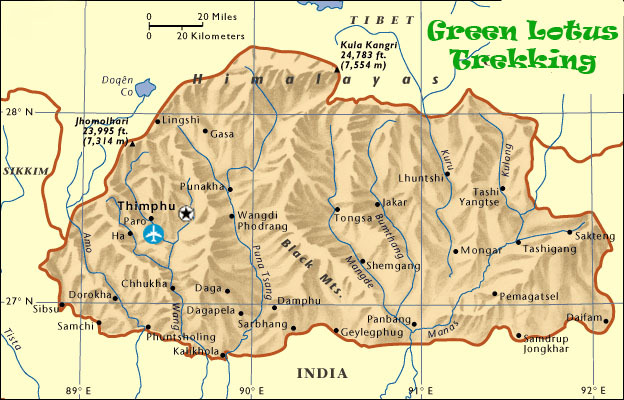 Bhutan has hardly been influenced by then and followed its own unique way to progress with responsibility. Taking the pledge to be a carbon neutral country in 2009 for eternity; thought the country is in fight with its strong economics wants, it did not take the road to quick industrialization and exploitation of its mineral wealth for the sake of the environment as that is the case when harvesting of these resources are done. Precisely because of our attitude towards the environment, the country is proud to be ranked as one of the top ten countries with a biodiversity intact milieu. Hundreds of Tourist comes to the country only to return with the memories and experience of what the country has to offer them. WE are happy to welcome you to our small but lovely country and can guarantee you that what you have heard, the places you will see and the culture and tradition that you will see will be a fantastic refreshing experience. As the saying goes that the best things which are seen and heard, should be experienced firsthand. WE can only say that a visit to the country would make a difference between words and reality.